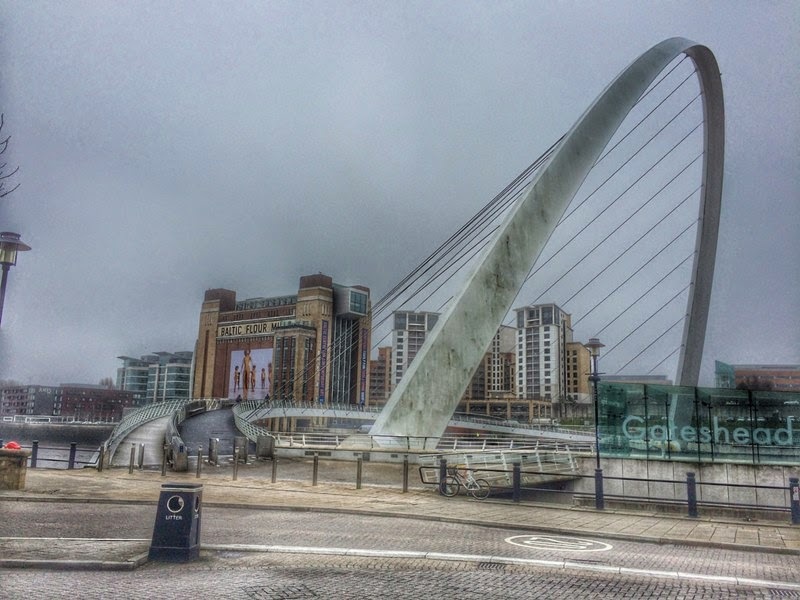 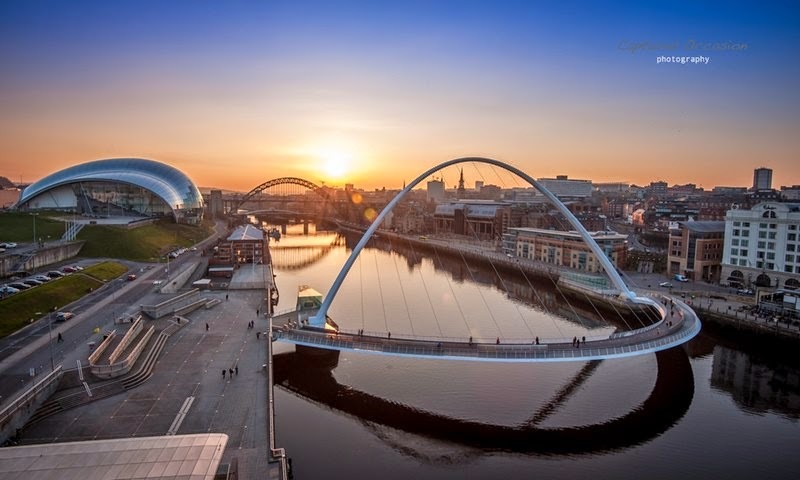 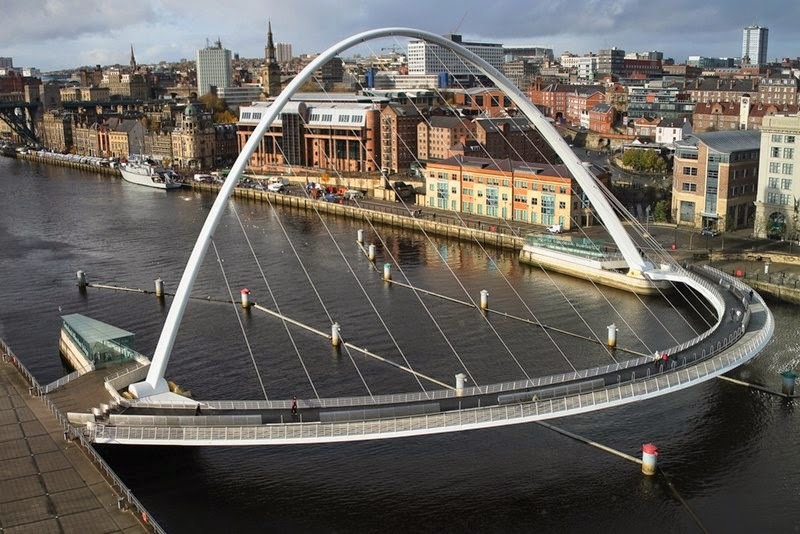 The Gateshead Millennium Bridge is a pedestrian and cyclist tilt bridge spanning the River Tyne in England between Gateshead's Quays arts quarter on the south bank, and the Quayside of Newcastle upon Tyne on the north bank. 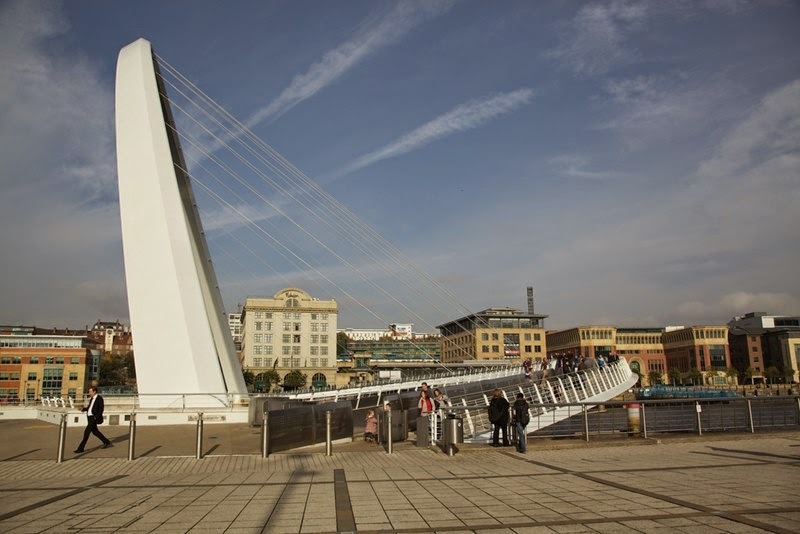 The award-winning structure was conceived and designed by architects Wilkinson Eyre and structural engineers Gifford. 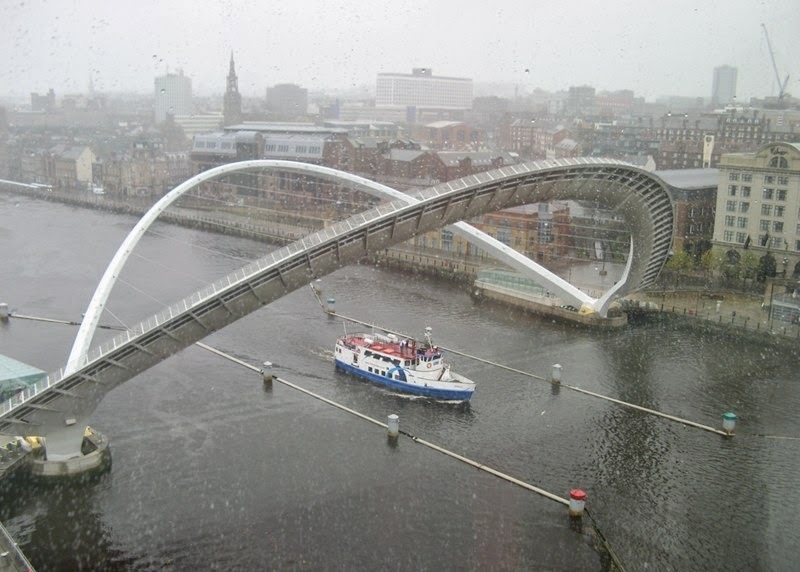 The bridge is sometimes referred to as the 'Blinking Eye Bridge' or the 'Winking Eye Bridge' due to its shape and its tilting method. 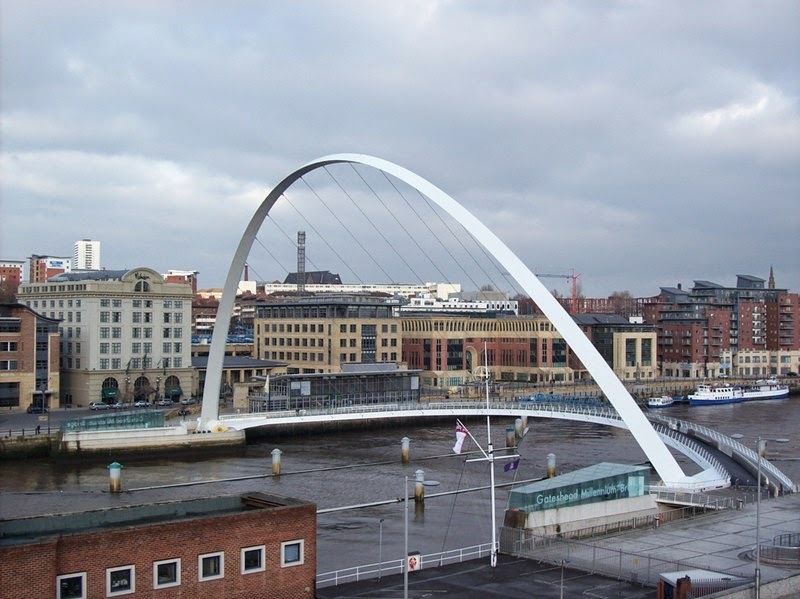 In terms of height, the Gateshead Millennium Bridge is slightly shorter than the neighbouring Tyne Bridge, and stands as the sixteenth tallest structure in the city. 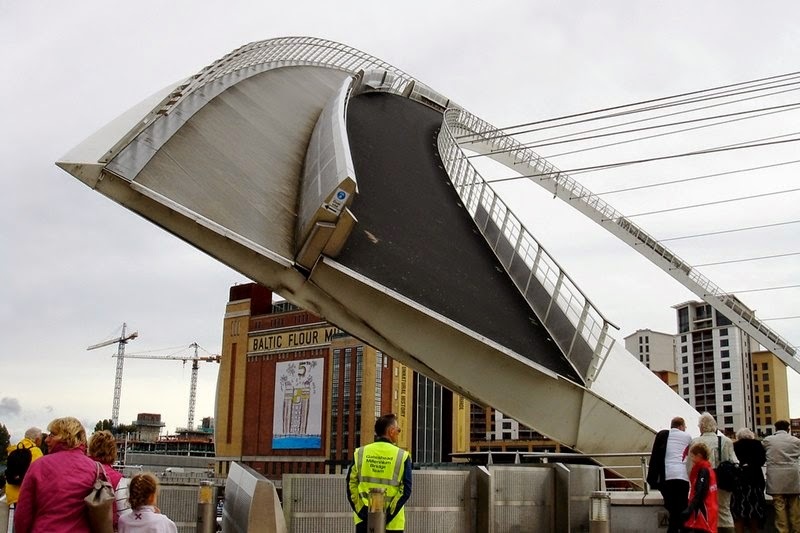 The bridge has operated reliably since construction, opening to allow river traffic to pass. 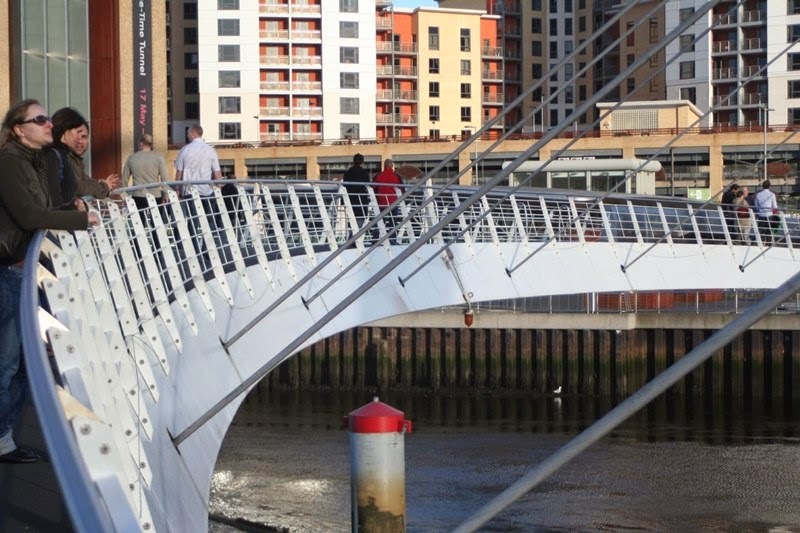 It also opens periodically for sightseers and for major events such as the Northumbrian Water University Boat Race and the Cutty Sark Tall Ships' Race. 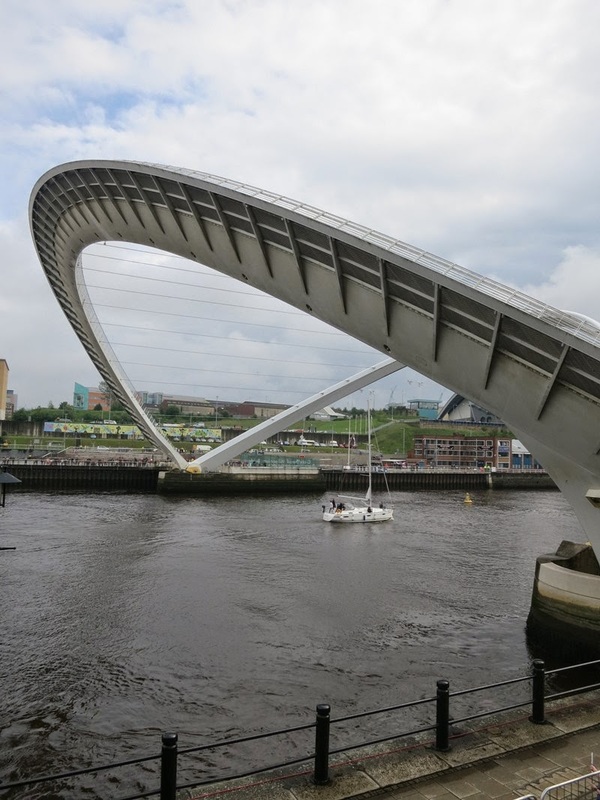 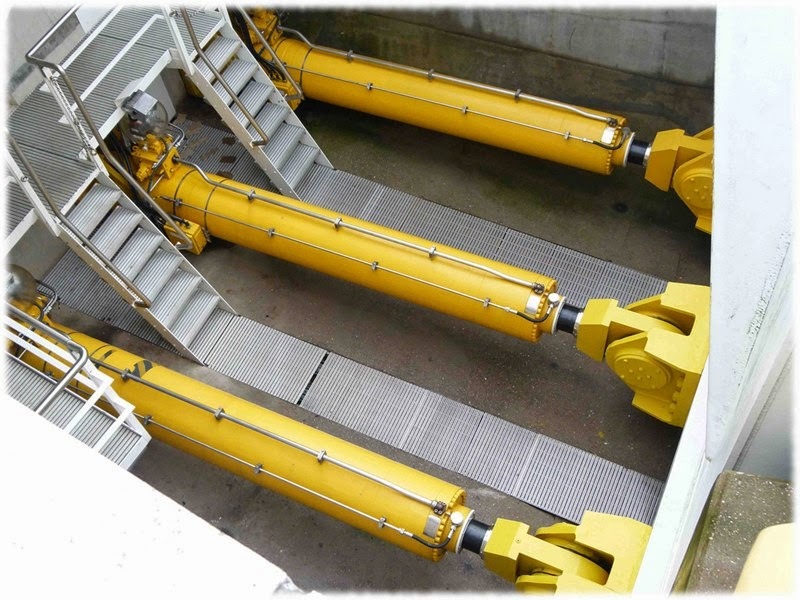 One of the principal requirements for opening the bridge is to allow access to HMS Calliope where Royal Navy patrol boat HMS Example is based. 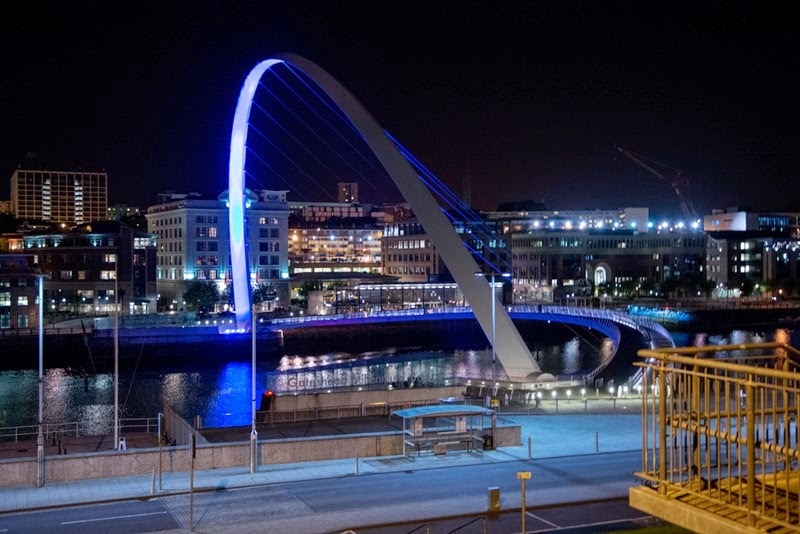 The construction of the bridge won the architects Wilkinson Eyre the 2002 Royal Institute of British Architects (RIBA) Stirling Prize. 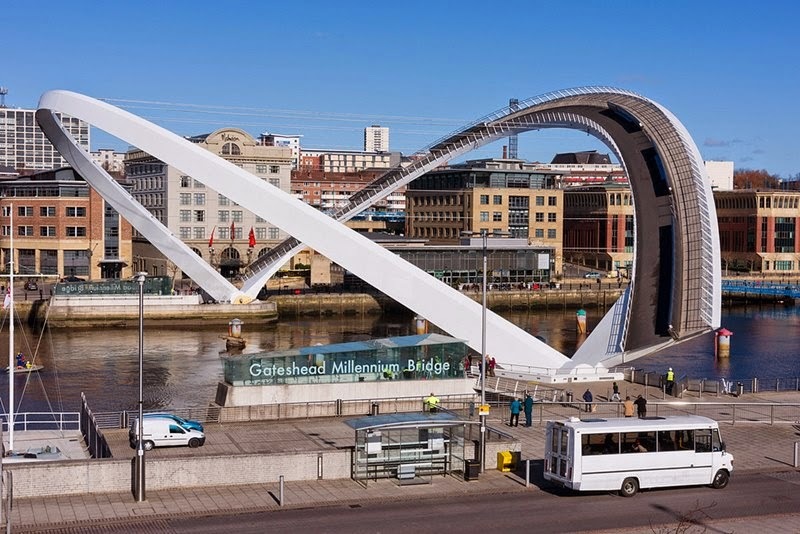 and won Gifford the 2003 IStructE Supreme Award. 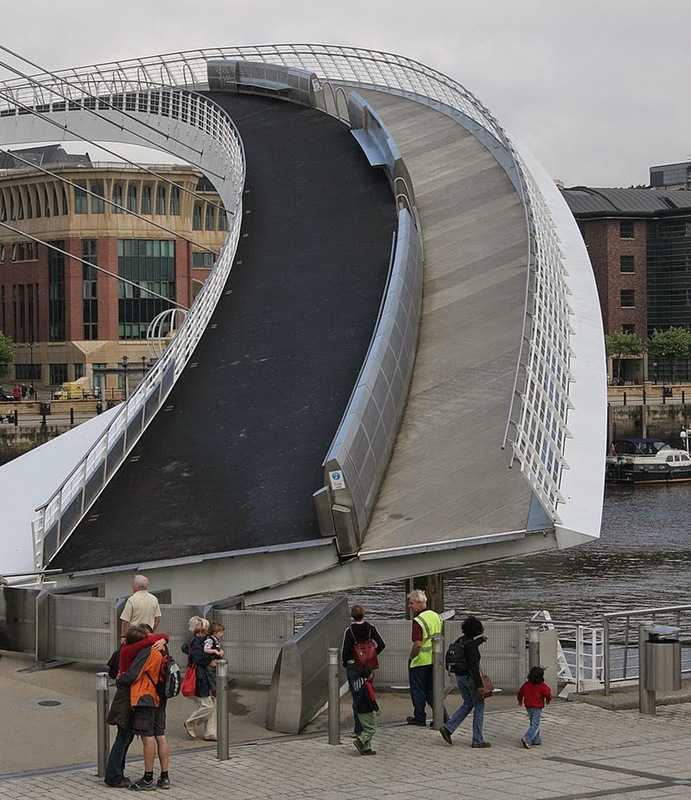 In 2005, the bridge received the Outstanding Structure Award from International Association for Bridge and Structural Engineering (IABSE).